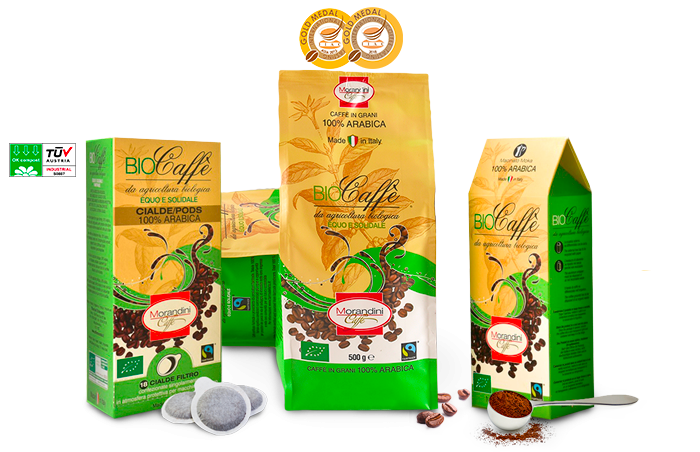 Fairtrade organic coffee is a blend of 100% Arabica obtained from coffee coming from organic fair trade agriculture, this is a gourmet coffee designed to satisfy the most demanding palates. It is characterised by a unique aromaticity which is exotic, perfectly balanced in sweetness and acidity, filling the palate pleasantly with slight hints of citrus fruit. Morandini organic coffee is certified Fairtrade; this guarantees that the products have been manufactured respecting the rights of smaller farmers and producers, guaranteeing them equal trading conditions and favouring an improvement in the quality of life itself. Furthermore it is an organic product, grown without the use of chemicals, and it is also certified by CCPB for the roasting process.